“2nd Chance Coming Home” by William Isadore Shines, is a poignant story about a Vietnam veteran who had PTSD before anyone knew what PTSD was. When Timothy Lawson returns home from Vietnam, he has difficulties transitioning into the civilian world. Boot camp didn’t teach him about having to dealing with traumatic injuries or losing comrades. Coming home, even with prestigious medals, is difficult to say the least, and he also has to deal with being dumped while he was away. While his parents would like to see him get an education, he doesn’t feel that this is the path for him. Feeling like there is nothing for him in his home town, he moves to a big city to live with a friend. Timothy quickly discovers that his dream job is not waiting for him, so he has to take a menial job washing dishes. Lacking funds and having big dreams ends up getting him into trouble with some tragic consequences. Fortunately, a lawyer, a judge, and a forgiving family give Timothy a second chance at coming home. Timothy’s story begins in the jungle, so the author takes us through his life before he is injured, his recovery and his journey home. His experiences are very realistic and the reader will feel like they are right by his side. His encounters when he comes home, having a hard time fitting in are very similar to the young veterans that I work with today. The only difference is, today we are better prepared to welcome our soldiers home by providing them with services and assistance with education. Things are still not perfect, but I suspect greater opportunities help prevent veterans from experiencing what Timothy went through. Even though he is a fictional character, he represents many soldiers from that era. 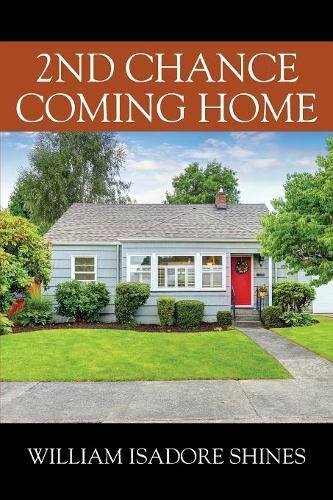 “2nd Chance Coming Home” by William Isadore Shines tells the emotional story of an African American soldier’s search for a future after returning home from war. Additional editing to clear up typos and grammatical errors would help the flow of the story. I highly recommend this novel for people who enjoy military fiction and for readers who are connected with active military and veterans. In addition to telling a good story, it gives helpful insight into the experience of a soldier who has gone to war.